Another of the most popular sections of Carolina Forest is The Farm. This unique and quite beautiful community is themed to - you guessed it - a huge farm with a clubhouse that looks like a big red barn...gardens and gazebos painted red that are scattered throughout, and a large area for social gatherings (square dances?) to encourage neighborly fun. Street names are cute - Red Rooster Lane, Planters Row Way, Barn Owl Court. 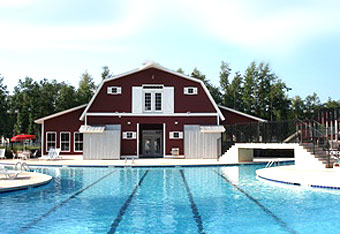 The Farm at Carolina Forest has some great amenities. 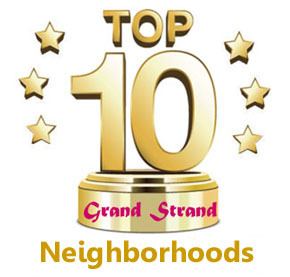 As the community is very family oriented, there's a nice playground for the kids, nice wide sidewalks to play on, a special kiddie pool, and bike paths to ride on. 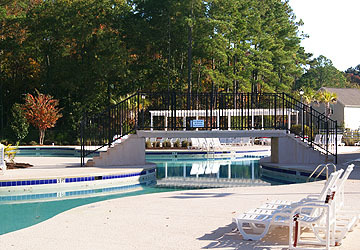 For the adults, there's an 8000 sq ft swimming pool, the clubhouse, and a fitness center. The Farm is a mixed development of homes, condos, and townhomes. It is predominantly single-family homes by D R Horton which we are featuring on this page, but there they are building many brand new homes at the Farm right now. D R Horton offers several floor plans for new homes, from 3 to 5 bedrooms, and the prices range from the mid $100's to over $300,000 for the larger homes with more acreage. 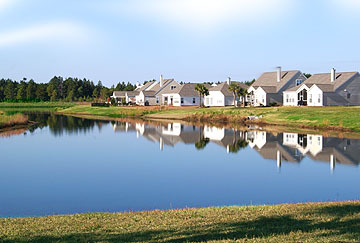 If you find this neighborhood of The Farm in Carolina Forest interesting, browse the sample listings below for available homes, or call us for a complete list. We are your Carolina Forest homes specialists!